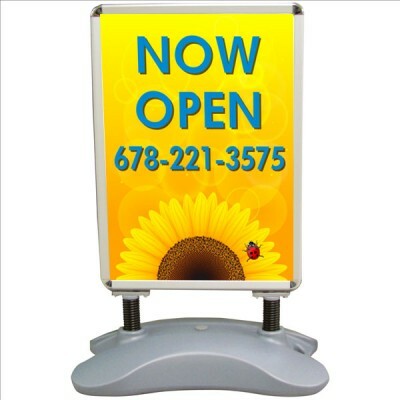 If you want a professional look for a table top sign at a great price, consider using our Spider Feet Stand Up Display. The steel constructed feet offers a heavy-duty design and a high-performance look like no other display. 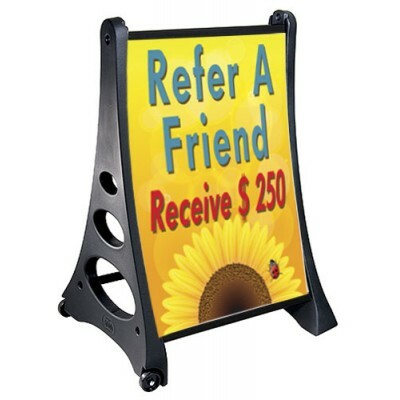 So easy to use, simply insert one of our rigid coroplast sign in between the two feet and it creates an instant sign display. 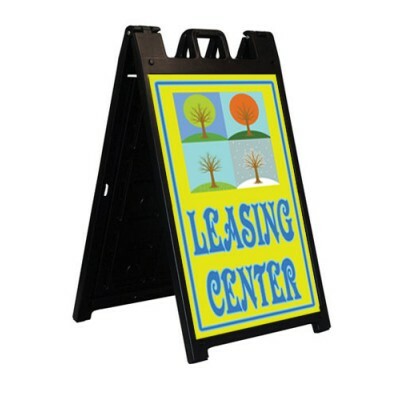 You can use any of our sign designs or let us create your special design. The feet are attractive silver color. Use two feet for up to 3' tall sign. If your sign is larger, you may want 3 feet. Please note that the price is for one Spider Foot. If you want to use two sets with your sign enter quantity two on your order. Great for marketing in your office on a table or counter. The sign is not included in the Spider Feet price.